At BRANCH, we believe that the primary reason for investing is the preservation of purchasing power. In 1970, a candy bar cost just 10 cents. Today, that same candy bar cost $1.20. 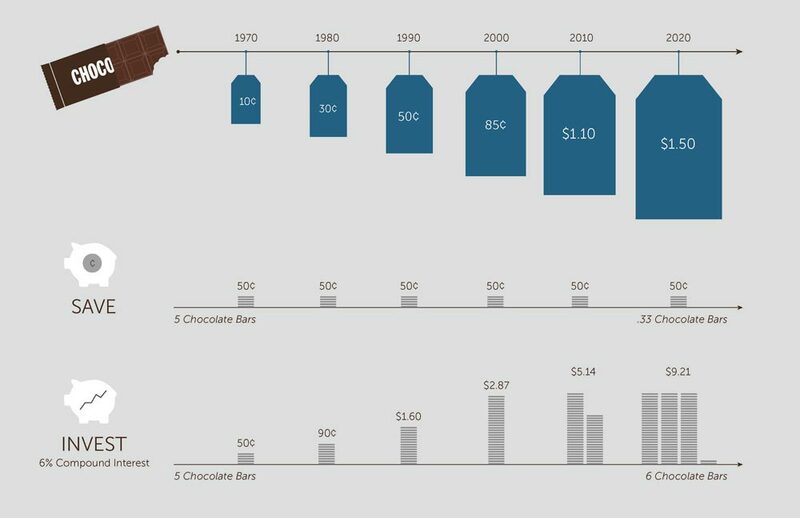 If you would have saved your dime in 1970, today you would only be able to afford 1/12 of a candy bar. Through prudent investing, however, the value of your dime could have been preserved and multiplied for your future. As you look ahead to your future, are you most concerned about economic uncertainty and volatility? Are you reluctant to invest because of the state of current markets? BRANCH believes that working-age individuals need to invest to preserve the value of their savings. We also believe that passive investment strategies are no longer the best way to moderate risk. Learn about the BRANCH Investment Discipline.